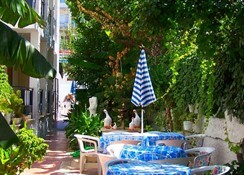 Villa Fortin Hotel is surrounded by fruit trees, this small and friendly simple pension style property is located exactly center of the main town, in the Wednesday & Friday market area of Kusadasi. 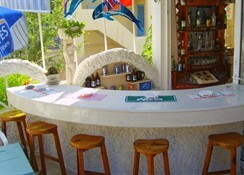 Rooms are traditionally furnished and the hotel offers simple, homely accommodation. Guests are ensured of a warm welcome by the hosts of this family run hotel, and it is an ideal choice for anyone wishing to explore and experience the more authentic side of Turkey. Lovely to stay there. Owners are very helpful. Extremely clean. I just missed satellite TV. Good location. Good place and value of the money. I can recommend it.